Diabetes Risk Factors Include Obesity, Family History, and… Cosmetics? Annmarie Skin Care > Ingredient Watch List > Diabetes Risk Factors Include Obesity, Family History, and… Cosmetics? According to the Centers for Disease Control and Prevention (CDC), if current trends continue, by 2050, one in three U.S. adults will have diabetes. Today, the disease is the leading cause of new cases of blindness, kidney failure, and limb amputations not related to accidents or injuries. In fact, a person with diabetes has a shorter life expectancy and about twice the risk of dying on any given day than a person of similar age without diabetes. In an effort to reduce the grip that this disease has on our population, researchers have been studying the risk factors. We now know that overweight, inactivity, high blood pressure, high blood triglycerides, and a family history of the disease can all make us more likely to develop diabetes. A new study, however, now suggests that one more risk factor may be at play—one we never would have suspected in the past. That risk factor? Exposure to chemicals called “phthalates,” found in many of our common personal care products. Turns out being overweight and insulin resistant may not be the only risk factors for diabetes. 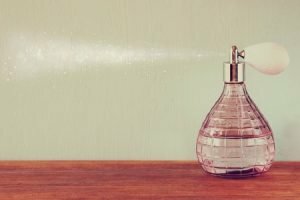 For the study, published in the journal Environmental Health Perspectives (published online ahead of print July 13, 2012), researchers from Brigham and Women’s Hospital analyzed concentrations of phthalates in the urine of 2,350 women from across the U.S. They found that those who had the highest levels of mon-benzyl phthalate and mono-isobutyl phthalate were nearly twice as likely to develop diabetes as those with the lowest levels of these chemicals. The results didn’t end there. Women with higher-than-average levels of mono-(3-carboxypropyl) phthalate had about a 60 percent increased risk of diabetes, while those with moderately high levels of mono-n-butyl phthalate and di-2-ethylhexyl phthalate had about a 70 percent increased risk. The authors were quick to say that more research is needed, noting the findings are far from conclusive and do not prove a cause-and-effect relationship. They do, however, give us more reason to avoid phthalates whenever possible. I talked about phthalates in a former post—read more here if you like. In summary, these chemicals are also called “plasticizers” because they make plastics more flexible and resilient. They’re used in food packaging, detergents, lubricating oils, wall coverings, vinyl flooring, and pharmaceuticals. In cosmetics, they’re used to help ingredients adhere to a certain surface, like fingernails and hair. 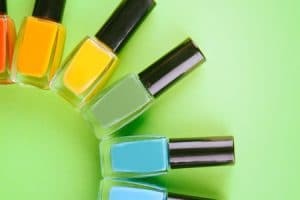 Phthalates are found in nail polish, hair sprays, and particularly in perfumes and fragrances to help the scent cling to your skin. According to the CDC, we’re all carrying some phthalates around inside us. Women, however, have higher levels than men for those phthalates found in soaps, body washes, shampoos, cosmetics, and other personal care products. 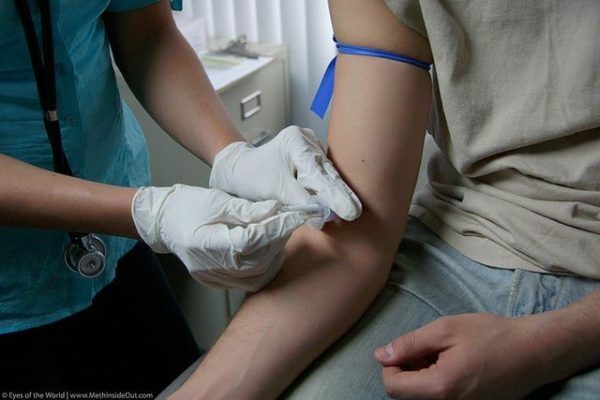 In addition to the diabetes concern, these chemicals have been linked with reproductive abnormalities, hormone disruption, asthma and lung problems, skina allergies, and decreases in male fertility. Even more concerning is the fact that this isn’t the first test to examine a potential link between phthalates and diabetes-related health problems. In April 2012, scientists from Uppsala University in Sweden found that those who were exposed to phthalates were more likely to gain weight and develop insulin resistance. Do you try to avoid phthalates? Please share any tips you may have! Photo courtesy Eyes of the World Media Group via Flickr.com. Andrew McDougall, “Study links cosmetics to increased risk of diabetes but trade association denies reports,” Cosmetics Design, July 16, 2012, http://www.cosmeticsdesign.com/Formulation-Science/Study-links-cosmetics-to-increased-risk-of-diabetes-but-trade-association-denies-reports. Sadie Whitelocks, “Chemical in Fake Tan and Make-Up Linked to Obesity and Diabetes,” Daily Mail, April 13, 2012, http://www.dailymail.co.uk/health/article-2129195/Chemical-fake-tan-linked-obesity-diabetes.html.